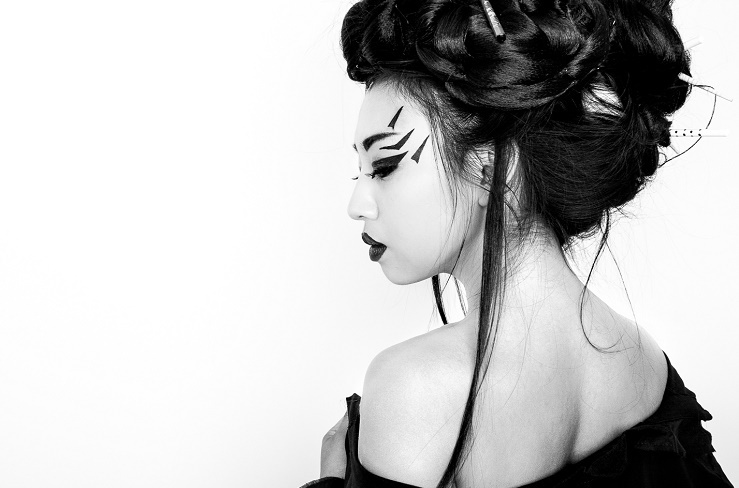 Fifi Rong is a unique artist and producer based in London. Eccentric, deep and honest, Fifi brings pure emotional intimacy into her songs with a mesmerizing voice, nuanced with the flair of her Chinese heritage. Fifi incorporates a wide range of genres such as Electronica, Jazz, Dub, Hip Hop, UKG, Soundscape into her production, resulting in a singularly unexpected musical hybrid that draws its beauty from its one-of-a-kind unearthliness. Fifi has been collaborating with many exciting artists including Tricky, Phaeleh, Skepta and Yello to name a few, and receiving vast support from a stream of blogs and radios including The 405, Clash, Fader Magazine, Hype Magazine, Pigeon and Planes, BBC Radio 1, BBC Radio 1 Extra, BBC Radio 6 Music and so on. She was also nominated as the best Electronic Music Artist and publicly voted into China’s Top 10 of most popular new artists of 2014. Having already established herself internationally as a stand-out live performer, with headline shows throughout the UK, Europe and China/Hong Kong, she released her much-anticipated new EP ‘Violently Silently’ in December 2015. Fifi’s new EP Forbidden Desire will be released on 29 April 2016 with a special launch show scheduled for 28 April 2016 at O2 Academy Islington in London. Title track from EP ‘Forbidden Desire’. Forbidden Desire EP Out Now on iTunes, Spotify & Other Major Stores! Written & Produced by Fifi Rong. Mixed by Robert L. Smith (Defy Recordings). Mastered by Leandro Munoz. Forbidden desire. Running deep and wide. Forbidden desire. Way over the line x2. Out stars just won’t align. Our signs just don’t combine x4. Wonder what it would be like. On one of those rainy nights.